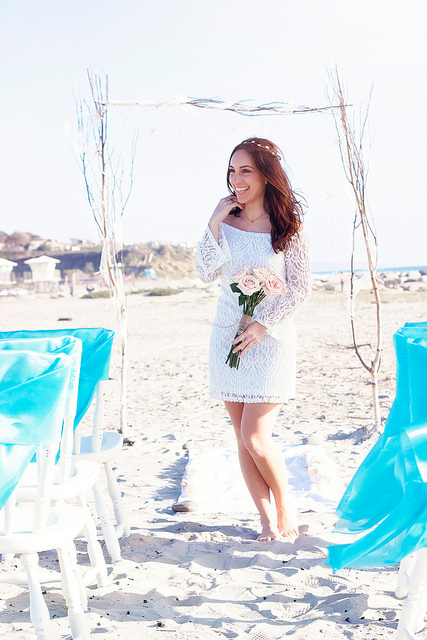 Candy’s Cottage does beach weddings! 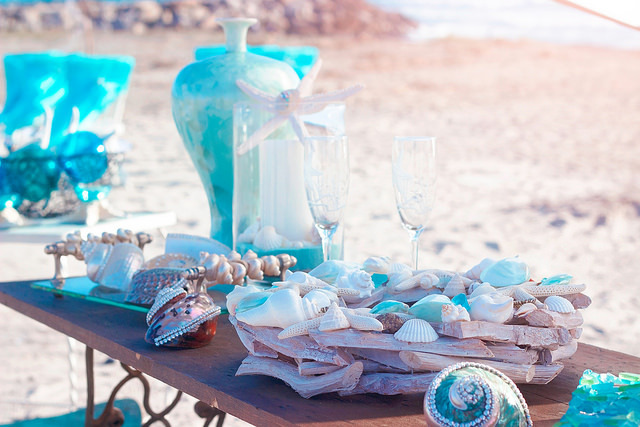 We can make your vision come to life with outdoor decor that is perfect for a seaside wedding! 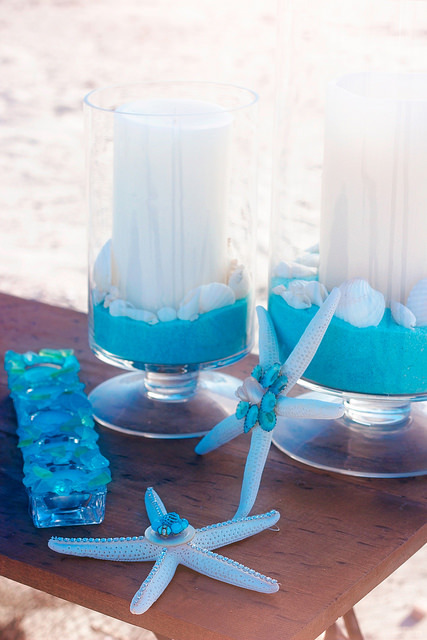 Handmade and personalized touches are our specialty which will make your special day a one-of-a-kind event! 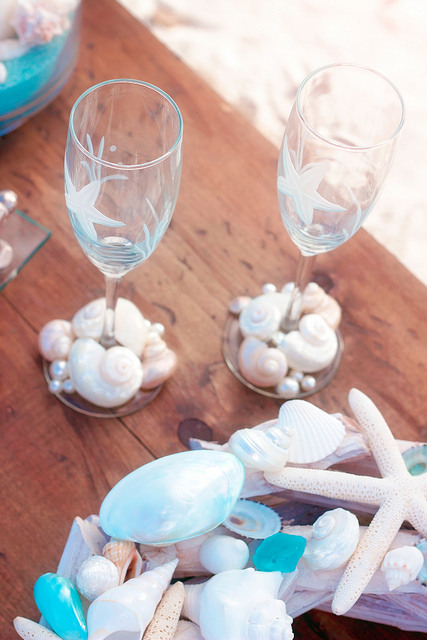 Turquoise & Starfish – perfect seaside wedding decor! 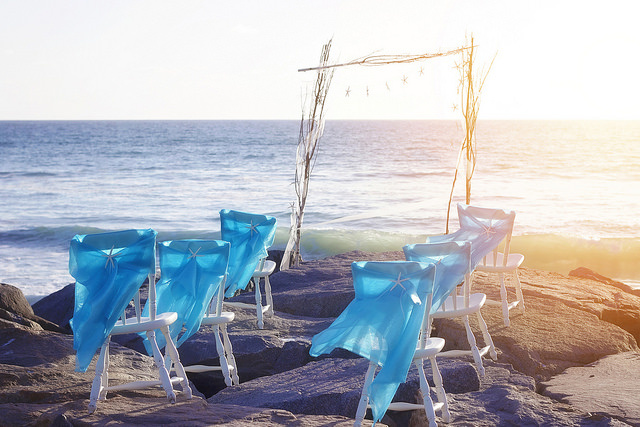 From chair decor to natural arbors, our unique decor brings that special touch! 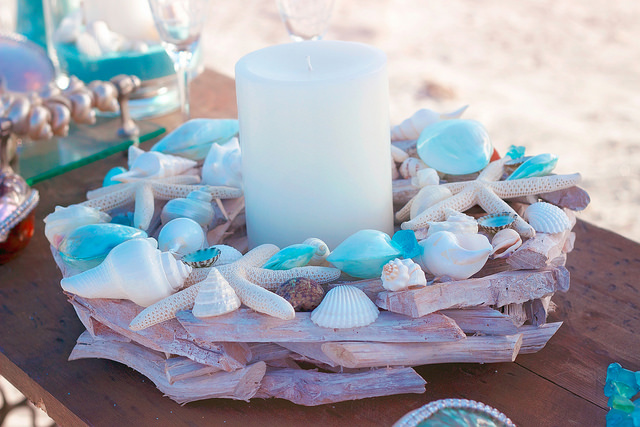 A handmade driftwood and shell wreath is the perfect centerpiece for wedding tables! 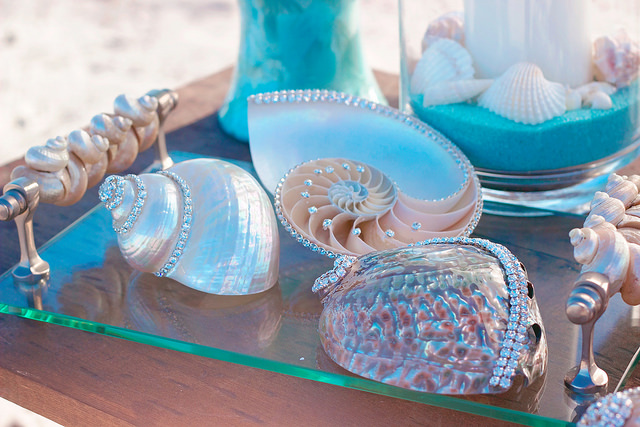 Handmade Swarovski embellished shells make an elegant and unique statement on the head table! 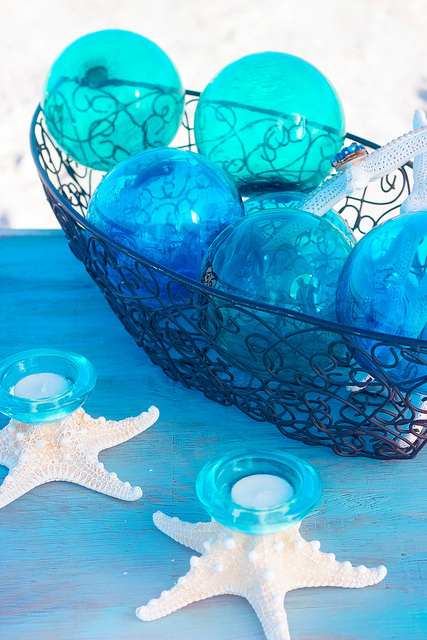 We can color coordinate decor to wedding attire – perfect to match the beauty of the sea! 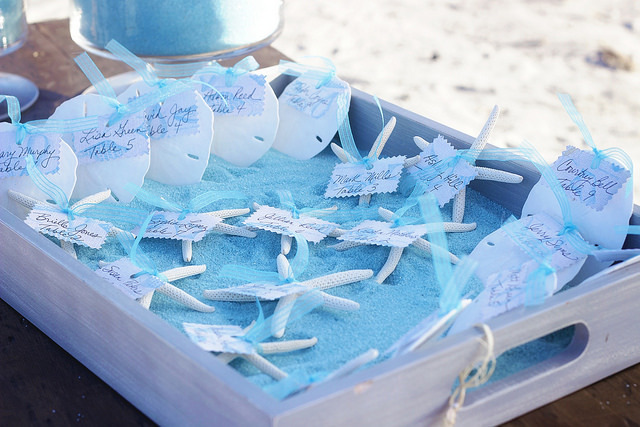 Beautiful and natural sand dollars and starfish table markers are perfect for your guests to find their seats…and make a wonderful keepsake favor of your big day! 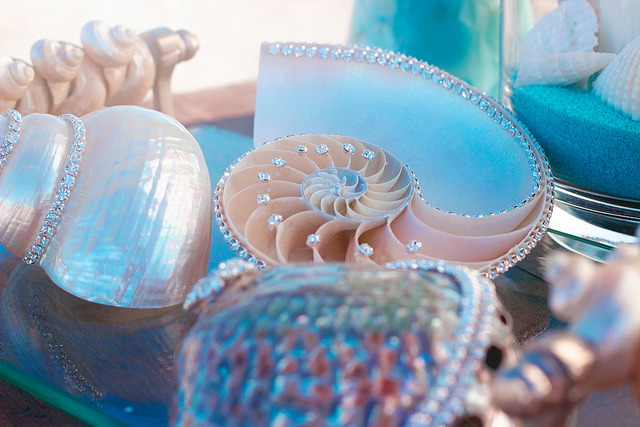 A chambered nautilus, an abalone and a pearlized turbo shell are embellished with Swarovski crystals to add some shine and sparkle to every table! 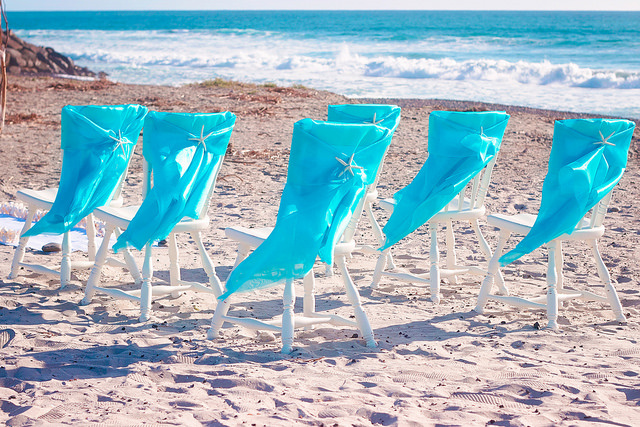 Turquoise fabric embellished with natural starfish…a perfect backdrop to your ceremony by the sea!